We joined the 8th Noshiro Space Event held at Noshiro city in Akita prefecture, stayed there from Aug. 15 to 20. 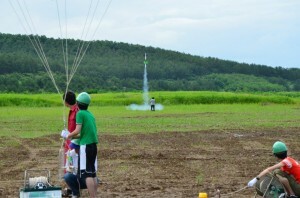 We doubted holding of the event due to heavy rain on Aug. 16, but our passions chased away rain cloud, so that it became fine on Aug. 17, the day of launch! 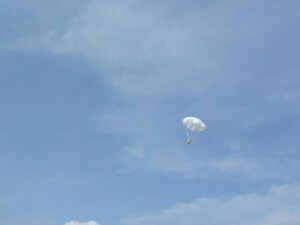 10 CanSats of the CLTP3 participants were launched by the respective model rockets thanks to Prof. Akiyama of Wakayama university, flied in the sky. 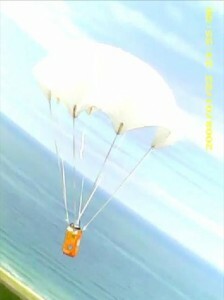 Their parachute unfolded perfectly and the CanSats accomplished their own mission, and took nice movies with cameras installed. Interestingly, a movie taken by a CanSat caught another one launched by the same launcher, so that we obtained very valuable photos of in-flight CanSat. We all smiled, because our flights were wonderful and we were filled with a feeling of accomplishment! After our flight, we visited Hiyoshi shrine on Aug. 18, and we experienced Japanese tea ceremony at a fancy Japanese-style restaurant on Aug. 19. 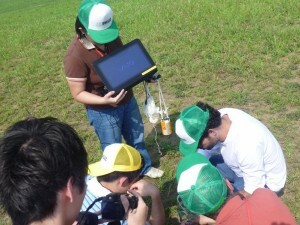 The duration of CLTP3 seems long but short, but we obtained the accomplishments and shared something there. 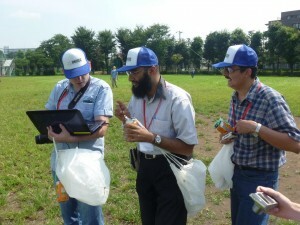 And the participants returned to their homelands. 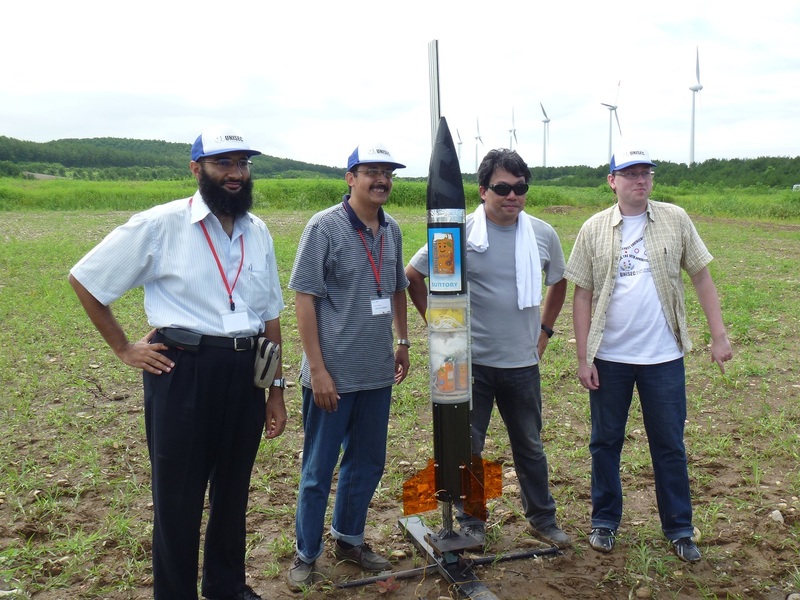 though we go again separate in respective countries, we know we can give a tremendous boost to space engineering together in the world. and we wish your continued success and prosperity, and are willing to be waiting for your reports of space developments!!! Conducted a flight test at TMU! Today’s blessed with good weather for a launch of balloon, so we had a good time to conduct a flight test of CLTP3 participants’ CanSats. 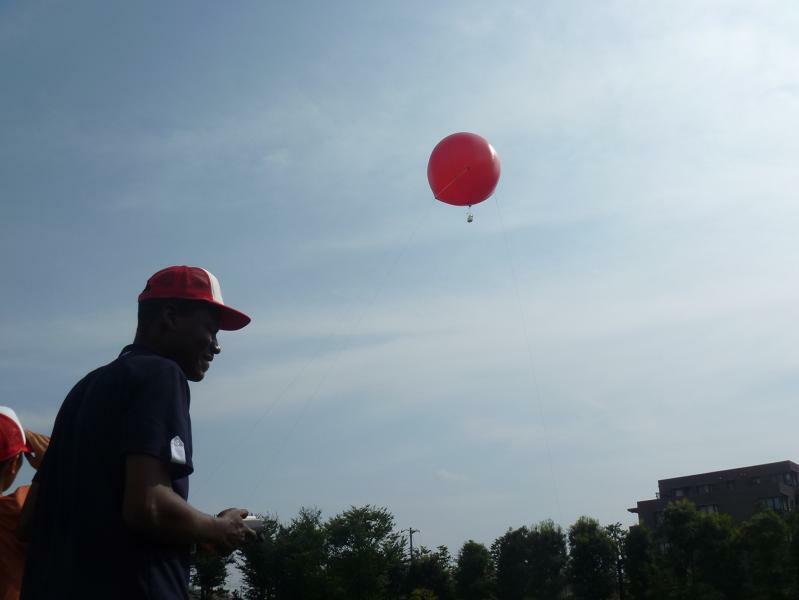 Since TMU students had experienced the balloon tests some times, they could fly our balloon at a height of roughly 30 meters in the sky. A CanSat carrier we had made was attached to the balloon as a separation system to install a CanSat, and the CanSat was released in the sky to parachute down slowly. 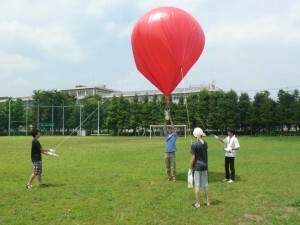 Each team experienced the flights of members’ CanSat. 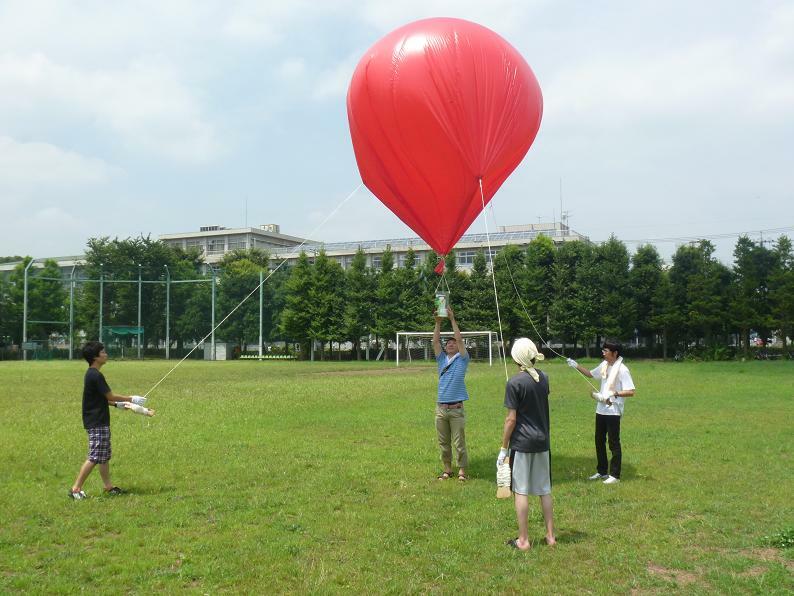 so that it would clarify the problems for the participants to make a success of the final flight of their CanSat at Noshiro Space Event. 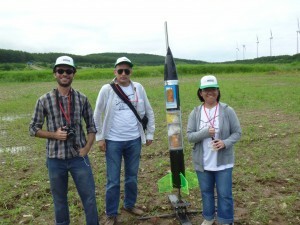 CanSat and how they conducted the flight test, that is, they obtained a know-how of not only CanSat and a project management but also a flight test. 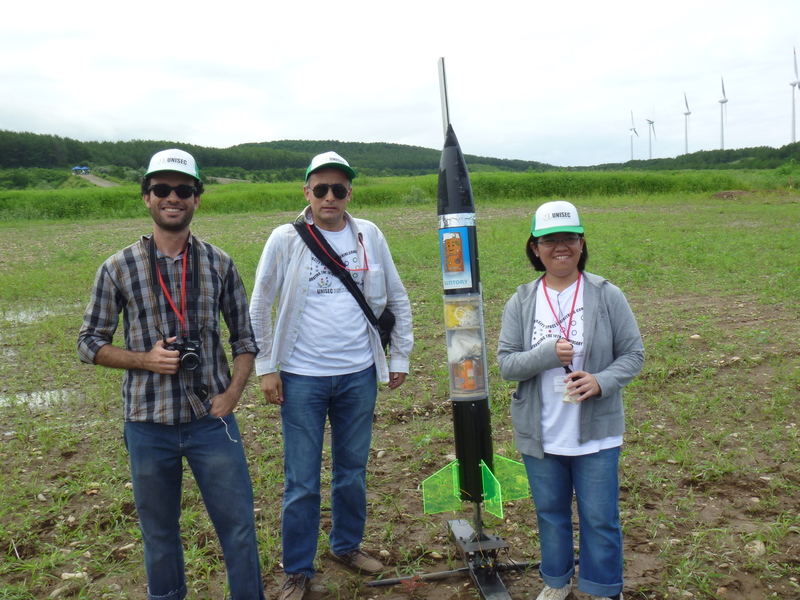 We are glad if they start their own CanSat project for space engineering education and conduct flight tests in their countries after CLTP3. I myself learned them from a precedent group, and I am presenting them to the participants in CLTP3. 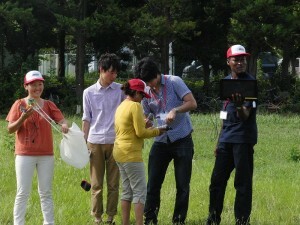 The next thing I hope is that the participants introduce them to their compatriots. This is the spirit of Capacity Building; the relation of Give and Be Given, NOT Give and Take. 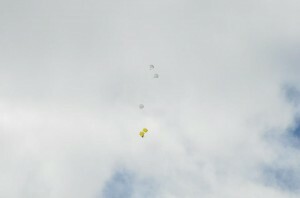 And, we are very happy when peoples in the world fly in the space with each other and get together there. Because, space is the new frontier for all the members on Planet Earth! The CLTP3 participants is now developing their own CanSat. 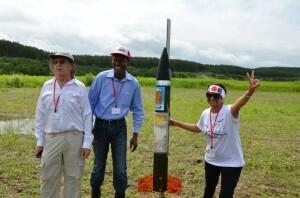 They are doing a fine work, and will be good space-education leaders in their countries after CLTP3, I believe! 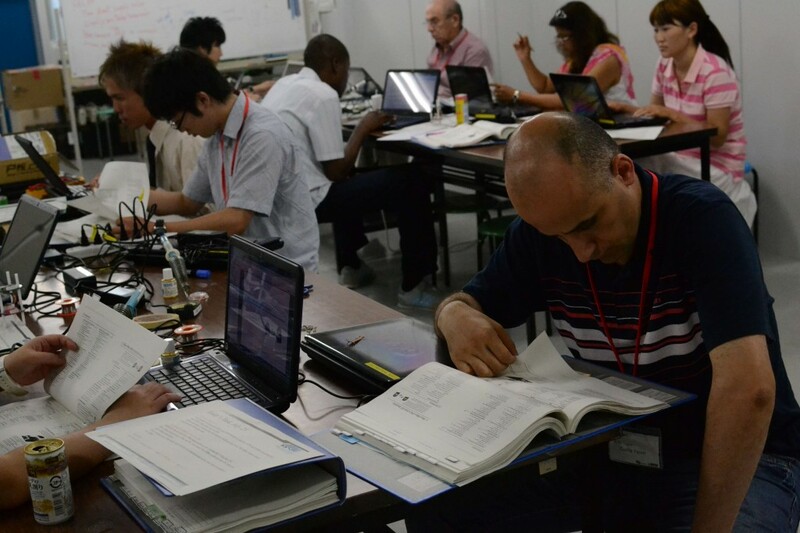 We’re now counting the days before starting the CLTP3, we’re all very happy to welcome you to coming to Japan! Our students are going to greet you at the Narita airport, just after the customs, having a welcome board of your name and the name of TMU written so that you can easily find us. Now is nearing an end of Japanese rainy season and a start of Summer, and we hope all of you will have good days in Japan and through the CLTP3!! 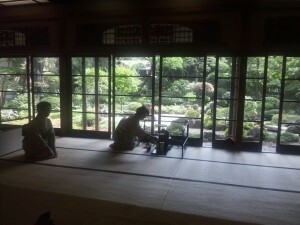 From June to the middle of July is the rainy season in Japan, called ‘Tsuyu’ or ‘Baiu’ written as ‘梅雨’ in kanji character. The Baiu is gentle rain and falls almost everyday. We Japanese named all kinds of rains in hundreds of names according to the characteristics of the rain as Kirisame, Konukaame, Kosame, Shigure, Niwakaame, Murasame, Namidaame, Tenkiame, Nagasame, or the season as Harusame, Natanedzuyu, Samidare, Bakuu, Akisame, Kannoame, Hisame, Kan’u, Zuiu, and so on. Baiu or Tsuyu is one of them. This rainy season is caused by the Okhotsk Sea air mass and the Ogasawara air mass struggling with each other to form a rain front for a month over Japan. At the end of the season, powerful lightning heralds the arrival of summer to us. Then, Summer will come, and CLTP3 too! 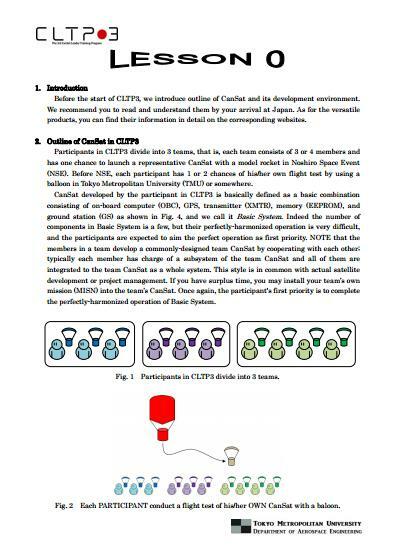 I sent a set of articles as CLTP3 Lesson 0 to the participants and recommend reading them by the arrival at Japan, and am expecting that they will see the entrance of CanSat and its development. 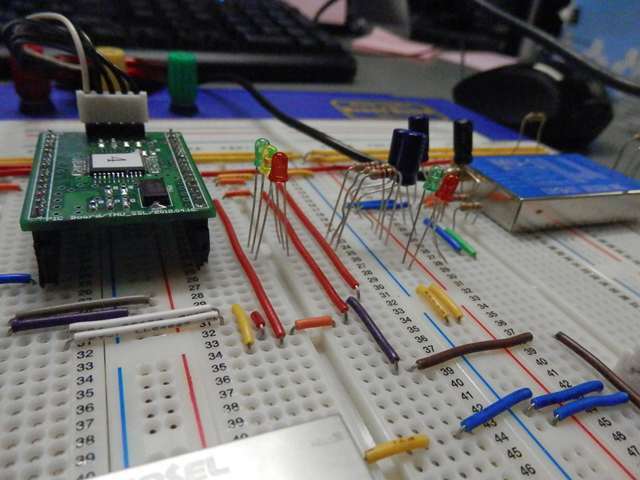 I’m now progressing the procedure of dormitory in Tokyo Metropolitan University for the CLTP3 trainees stay, and my students are also preparing the elements such as microprocessor, sensor, and transmitter for the CanSat developed in CLTP3. Though we are usually developing various circuits based on Renesas H8 or SuperH microprocessors, we’re going to use a PIC processor provided by Microchip Technology Inc., this is because the PIC processor can be available almost all over the world and they can buy it. We regard the first priority of CLTP3 as sharing an educational method for space engineering, that is, a set of procedures to declare mission statement, to find requirements and specifications, to form subsystems according to them, to fabricate a CanSat, and to conduct tests and flights. That is, implementing the educational method with CanSat by using PIC microprocessor is one of the very feasible solutions and the probable initiatives for education of space engineering around the globe. A month, the duration of CLTP3, may be short, but the days would be much dense. We’re very looking forward to seeing the participants of CLTP3 and developing CanSat together, and, also to hearing about your countries! 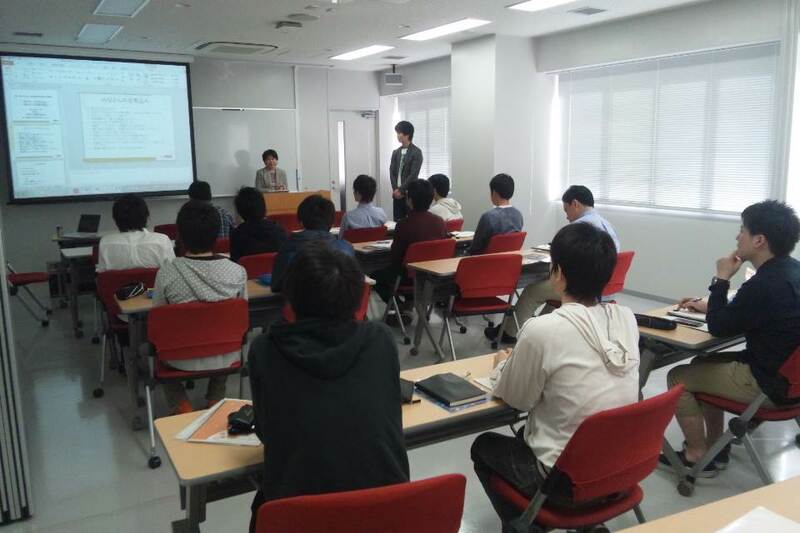 We had a lecture of international understanding by UNISEC, at Tokyo Metropolitan University today, where the students to be staffs in CLTP3 listened in the outline of CanSat activities and had a lesson for English conversation. 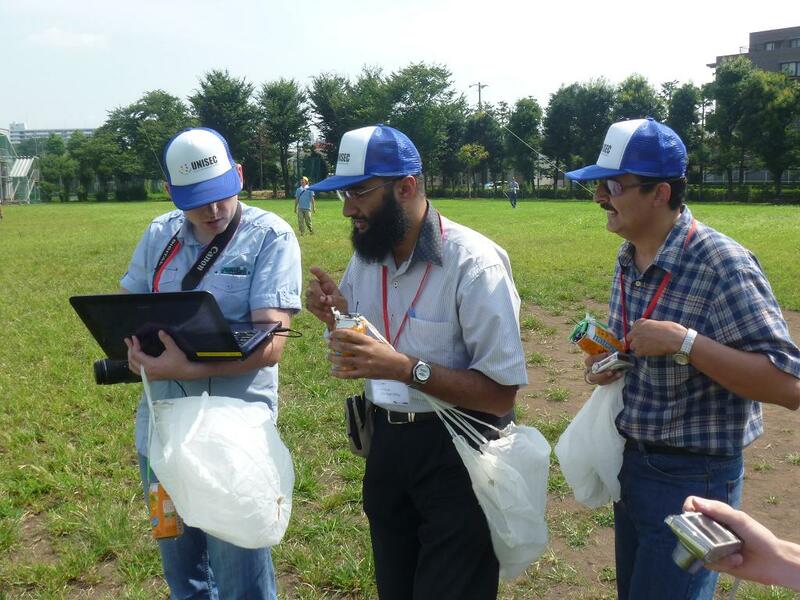 Our campus, called Hino Campus in Tokyo Metropolitan University (TMU), is located at Hino city, and can provide an environment very suitable for education and research, we are devoting ourselves to studying and developing the space engineerings there. The nearest station is Toyoda, and it may be a game of luck in JR Chuo line from Tokyo or Shinjuku to Toyoda station, you are so happy if you sit on a seat and the train has no delay. 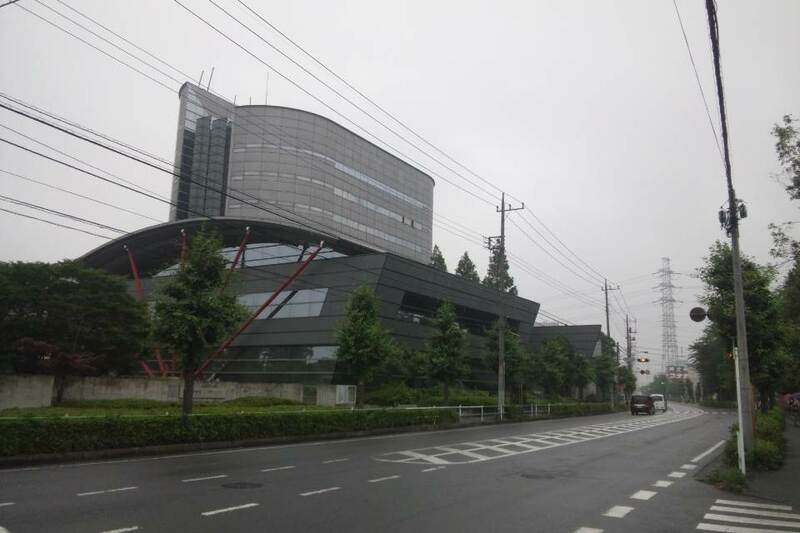 You may set your mind at ease, the shuttle bus is available from Minami-Osawa Campus to Hino Campus. Minami-Osawa Campus, where the participants of CLTP3 will stay, is very close to Minami-Osawa station in the Keio line. Anyway, we are preparing for CLTP3 and looking forward to seeing the participants of CLTP3!